For a second-place finisher, Jackie Evancho has emerged as a first-rate singer. Evancho, at only 10 years old, burst upon the entertainment scene as runner-up finalist on Season Five NBC&apos;s America&apos;s Got Talent (AGT) in 2010. Now 15, she has effortlessly conquered career heights that go beyond her spectacular soprano range. 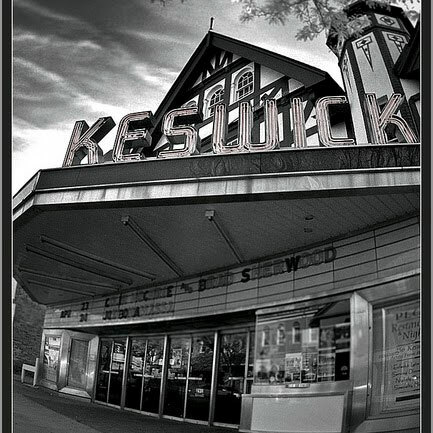 On Thursday, September 17, local fans can enjoy her impressive sound in concert at the Keswick Theatre in Glenside. How does someone so young deal with the rigors of touring? As she describes it, her schedule includes plenty of latitude to balance performance with being a regular teen. "What I&apos;ve been doing is touring, but it&apos;s not the typical tour you would expect where I&apos;m on a tour bus for months on end going different places and singing everywhere," she says. "It&apos;s more like I go to a place, I sing there, and then I come back to my home for a week or so. And then I&apos;ll leave again. So it&apos;s a pretty simple situation, and it&apos;s easy on me, which is great." This nontraditional roster is optimal, she says, for ensuring her success in a hometown Pittsburgh high school, where she is currently a sophomore. Commenting on her journey, Evancho says, "It&apos;s pretty amazing to me. And exciting because, before AGT and even after, I never really expected to be as far as I am. So being as far as I am is really, really great for me. It&apos;s very rewarding." On AGT, she appeared midway through the season, the result of viewers watching her perform on YouTube and voting her in. "Being on the show was fun. It was almost like school. I would wake up, get on a bus - almost, it was a long van that took me to the set. And from there, I would wait in a tent, and then they would take me to do little lessons with vocal people that they had with them. Just to help me pick the song that I were going to sing. And then I would go home for the day. And then I&apos;d sing." That creative input to her song selections continues today. "I do pick my songs," she says, commenting on her set-lists. "And I pick the arrangements and how they go. And what order. Nothing really goes by without my okay." Among her favorite performance stops worldwide, she has a particular affection for Asia, where she was warmly received. "I loved Tokyo, Japan," she relates. "The culture to me is interesting. And everyone is extremely polite there. And the architecture is great. So I think it was really nice. I would like to go back." Her whirlwind career is peppered with once-in-a-lifetime collaborations. She filmed a small feature with actor Robert Redford; she shared the stage with Andrea Bocelli; and has performed at the White House. "I sang at the 2010 Christmas tree-lighting ceremony for the President," she remembers. "He is exactly what you would expect the President to be. Very formal. But he had this presence to him. It was pretty fun." Her youthful enthusiasm for music has stayed with her during her meteoric rise. What has changed over the years, understandably, is the character of her voice. "As I get older, my voice keeps surprising me," Evancho says. "And my voice octaves get higher and lower, so it&apos;s kind of everywhere right now. I&apos;ve noticed that there is a difference in my voice, a difference that is better to me. I have more control. And it&apos;s more fun. I don&apos;t have to stress about if my voice is going to crack somewhere." She is also exploring the artistry of her music with increased depth. "Singing with an orchestra is one of my most favorite things to do. I have a lot more freedom to hold a note or take a dramatic pause. And I think that that&apos;s really important to have in a performance. Because it becomes an easy way to give off what you want people to feel while you sing." Evancho&apos;s travel schedule is mitigated, she says, by bringing a companion. "I have five dogs actually, but one of our dogs belongs to me personally. And I sometimes bring her on trips. She&apos;s a Pomeranian. She travels well. Her name is Maggie. Trips with her are always ten times better. She flies, and she&apos;s very good on planes. I&apos;m always surprised by her." Evancho is unsure whether Maggie will accompany her to the Keswick. Or whether the Pom is coming when she returns to the area on September 26. Evancho has just been announced as one of the performers for the Festival of Families on the Benjamin Franklin Parkway, where she will sing for Pope Francis and several hundred thousand of his closest friends. The Keswick concert is not Evancho&apos;s first trip to Montgomery County, Pa. She recalls a school trip where she traveled from her native Pittsburgh to visit Valley Forge National Historical Park. There is a fairly good chance that during the drive, the class warbled something like "Three Cheers for the Bus Driver" to pass the time. What is certain is that intermingled in the chorus was one surprisingly crystal clear voice.